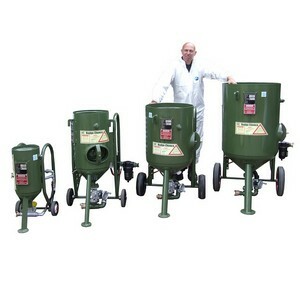 Grit Blast Pot Hire Nationwide - the ultimate material cleaning machine. We have an extensive hire fleet of grit blast pots. Our most popular blast pots are the 1.5, 3 and 5 bag grit blast pot. 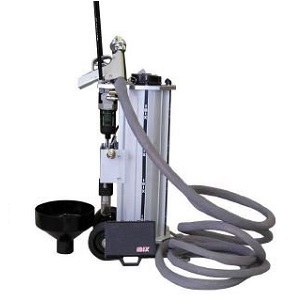 Grit blast machines are the best machines for cleaning down many types of surfaces ranging from steel through to masonry work. Whether you are cleaning down steelwork on rusting bridges or renovating the stonework on old buildings the grit blast pots will easily complete the task. 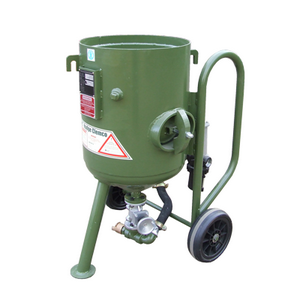 When hiring the grit blast pots there are a selection of grits available depending on the material you are cleaning and the results you require. Ranging from the aggressive JBlast grit for cleaning down steelwork to the delicate Extra Fine Stone Grit, for working on fine heritage buildings or simply cleaning down graffiti. The IBIX Ibimar portable blast machines are the machine to hire when portability is paramount. The Ibix Ibimar 13 only weighs in at 12kg making it far more portable than the larger blast pots but still produces the power to blast and clean the most robust of material. Whether it be steel, stone or intricate windows or fireplaces the IBIX Ibimar 13 is the machine to hire to get the job done. We have a full range of ancillary equipment such as blast line extensions to get to hard to reach places, plus top covers for ensuring the grit doesn't get contaminated.